1. A native of Oakland California. R&B singer/songwriter Kehlani was born on April 24, 1995 as Kehlani Ashley Parrish. Kehlani is born a unique blend of ethnicities including African American, Caucasian, Native American, Spanish, and Filipino Native American. She also specified that “Blackfoot Cherokee” are her Native American tribes. 3. Kelhani first found fame on America's Got Talent. Before Kehlani was where she is today, she was performing with her group named Poplyfe. The group was actually featured on America’s Got Talent, where they placed fourth during the final round of the 2011 season. 4. She studied dance at the Oakland School for the Arts. Before beginning her singing career, Kehlani wanted to be a professional dancer and studied dance at the Oakland School for the Arts and hoped to study at Juilliard. 5. She's influenced by the biggest and best female names in RnB. She dropped her first mixtape at aged 19 in August 2014. It was made in New York City with producer Jahaan Sweet and was ranked 28th on Complex's "50 Best Albums of 2014". 7. 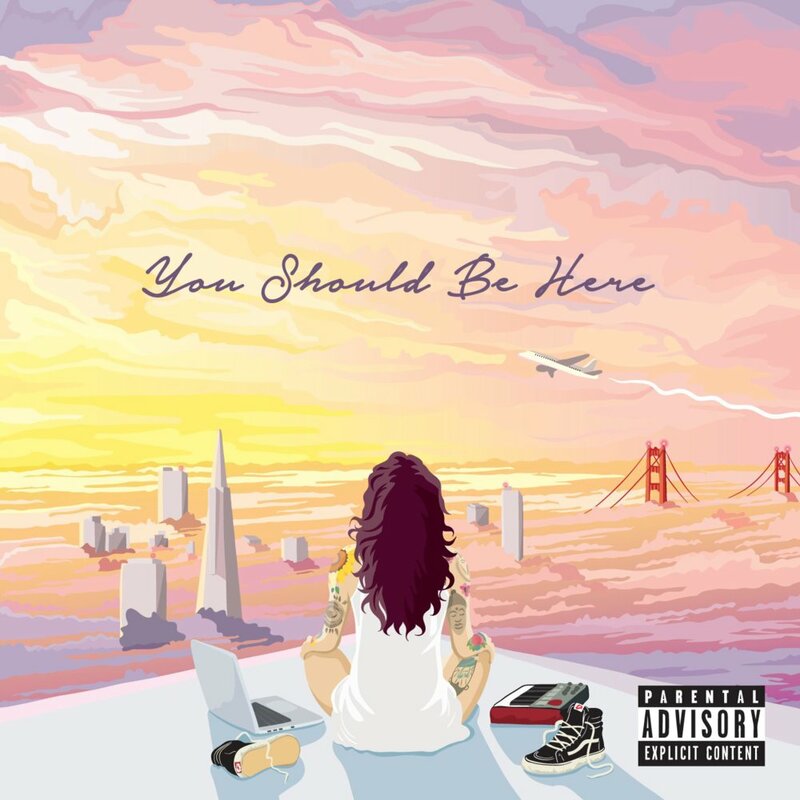 You Should Be Here was her second mixtape. Kehlani released her second mixtape You Should Be Here in April of this year. Within 24 hours of its release, the mixtape had more than one million plays on the artist’s SoundCloud. You Should Be Here was at #1 on the iTunes R&B/Soul chart and #2 on both the Overall R&B Albums and Current R&B Albums chart. 8. She has earned herself two Grammy nominations. Kehlani nominated for the 2015 Grammy Award under the category ‘Best Urban Contemporary Album’ for her album You Should Be Here that made her the first female Grammy nominee for a mixtape! She was also nominated for the 2017 Grammy Award under ‘Best R&B Performance'for Distraction. Inheriting the nickname "Lani Tsunami" from her laid-back "wavy" appeal, her fans began to call themselves the "Tsunami Mob" and are very die hard, even getting tattoos in Kehlani's honor. 10. She's not the only talented artist in her family.